Editor’s Note: Please note that the Shaykh has requested a tight control of comments. Criticism is always acceptable on these pages, but if it turns into rude or derogatory comments, it will be immediately removed. As the Director-General of Mercy Mission and AlKauthar Institute, which now has over 14 instructors and over 50 courses running in 10 countries in 5 continents, the safety and travel convenience of the Institute’s instructors are serious considerations for me. We can prepare proficiently for the classes, market them, fill the class with hundreds of registered students, but a simple visa or entry issue into a country for an instructor can destroy all this good, and can destroy dawah organizations in the eyes of the unforgiving Muslim communities. Recently a couple of extremely well known speakers, very popular in the dawah scene around the world, were not allowed to come to Australia because they were accused of being ‘wahhabi‘! I am sure everyone realizes the systematic attempt by a variety of lobby groups these days to discredit Muslim speakers, daees and mashaikh in an attempt to close avenues of dawah by these people of knowledge. Scholars and speakers alike are being harmed and negatively portrayed in the media, wherein the underlying argument seems to be that Islam is the problem and so those who preach Islam are the main un-indicted co-conspirators in extremism and terrorism. Based on this, some categories of Muslims speakers and preachers are supported by anti-extremism programs and shown to be the more tolerant and acceptable versions of Islam and everyone else is portrayed as an aberrant wahhabi! This dangerous escalation needs to be challenged. An alternative argument that is the more logical and the more in conformity with reality must be presented, which is that Muslim scholars are natural allies of the West, specifically in fighting extremism and terrorism. Islam and its knowledge and education must be allowed to flourish if extremism is to be curtailed and removed. Along these lines, I gave a talk at a dinner organized by the Muslim Council of Wales, which was attended by some of the nation’s top anti-terrorism chiefs and prevention of extremism experts. It was delivered in early December 2008 in the city of Cardiff, UK. My goal was to present the intellectual side of the argument that Muslim scholars should not be harmed in their work. Note that the lecture was delivered after the 26/11/08 incidents in Mumbai and before the recent Gaza events – so reference is only drawn to the Mumbai events. As the Gaza events and decades of horror in Muslim lands have shown, terrorism is not an Islamic monopoly. However, what should be of concern to Muslims – is not that ‘islamic terrorism’ is a contradiction in terms, but rather that the term is and has been coined and is being used widely. So rather than use this opportunity to correct people’s understanding as to how broad based terrorism really is, I chose to focus on an achievable outcome that was more important given the limited opportunity and time. So before you read the below, remember the audience, the desired outcome, and the gravity of the problem and the danger that lies ahead for Islamic speakers and instructors. And before some self-righteous individual paints my actions as being done in fear, know this: I did not deliver this lecture with nifaq and hypocrisy in my heart, rather with absolute izzah and honour and passion and conviction and arguing for our right to preach our pristine and pure religion. Ladies and Gentlemen,Did you understand that? No? Now you can understand the ineffectiveness of our prevention strategies if we do not speak the language of extremism and use the right people and the right vehicles to address its perverted ideology. Ladies and Gentlemen, the recent incidents in Mumbai only a few days ago, are a testament to the fact that we have not been successful in our war on terror. We cannot with any degree of certainty say that we are safer today than we were yesterday. Terrorism continues to draw fresh recruits, more determined and well trained than before and unleashing a wave of fear and uncertainty in the hearts of all humanity. Ladies and Gentlemen, this is certainly true about the manner in which the west has waged its war on Terror. In the mistaken equation of terrorism with mainstream Islam and denigrating it with labels of radical or fundamental, the war on terror has sidelined and marginalized one of its greatest allies – Independent Islamic Scholarship. Worse still, the war on terror has failed to recognize that those that we have come to call fundamental Muslim scholars are precisely those that have long been fighting the war on terror – long before September 11 and long before the Gulf War. For example, the former Grand Mufti of Saudi Arabia was of the opinion that hijacking airplanes was “an extremely great crime” and that it was obligatory on governments and scholars alike “to exert themselves as much as possible in ending this evil.” The Grand Mufti also condemned the ‘Jamaa’atul-Jihaad’, a terrorist group, saying “they are to be cut off from, and the people are to be warned against their evil since they are a tribulation and are harmful to the Muslims, and they are the brothers of Satan.” The present Grand Mufti was quoted to have said about the September 11 incidents: “It is nothing but oppression and tyranny.” There are also numerous such quotes from the Grand Muftis of various countries. These are not sophisticated PR campaigns – rather, they are verdicts spoken in the language that the people would understand, in those media channels that the right group would tune into and understand. I ask you the question: Why alienate the message of such people? Why not use these Muslim scholars that are credible in the eyes of the Muslim masses to achieve the common goal of prevention? Ladies and Gentlemen, hundreds of years before the anti-terrorism policies of the West, approximately 1400 years ago, Muslims were fighting the intellectual battles that terrorism presented in the battle between the Khawarij of the past and companions of the Prophet. This continued throughout the ages – where independent Muslim scholars presented the best defense against distorted terrorist ideologies. Today, this is also seen in the manner in which Saudi Arabia has tackled their terrorism problems by putting independent credible Muslim scholars at the forefront in the intellectual battle for disproving terrorism. By equating these Muslim scholars representing orthodox Islam with religious extremism, the war on terror will lose its greatest ally in this long drawn saga. If we make a search for the causes of extremism and terrorism, some suggestions come to light, such as social injustice or terrorist ideation or political disenfranchisement. But not all people who suffer from these disillusionments become terrorists. The stronger argument is that these conditions are merely the fertile plain, but the common pathway or the motivating context for raising terrorists is through ideological persuasion. It is this ideological distortion that is the cause of extremism and violence perpetrated casino jameshallison in the name of Islam, and it is best tackled by those who are the most qualified to deal with it. Who are themselves pinnacles of goodness and mercy to all men and women – whether Muslim or not. Those who uphold the common shared values that both the Islamic and Western civilizations agree to. Those who appreciate that we can all live together with understanding and tolerance. For example, how would you respond to a young man who says – how can I be a good citizen of a country that is one of the very nations committing acts of violence in Muslim lands? They continue: Rather, their participation in the wars on Muslim lands is a testament to the fact that we are in a situation of war with them. So how could we address this? What could we do to refute this mistaken argument? Who better to argue this than Muslim scholars who can tackle this on the same grounds? Another example, how would you respond to an extremist that says – you want us to integrate, but how can I integrate with a society that has so many social ills? Rather, the people of vices were destroyed by God, so should those of today. So who better to address this argument than through Muslim scholars? Who better to clarify the correct way to view this matter? So who are these independent Muslim scholars? They are scholars from the broad spectrum of Muslims possessing authentic religious credentials that support the prevention of terror and extremism. They are not adherents to one specific brand of Islam, belonging to this or that group – rather any scholar and every scholar that supports the prevention of terror and is working towards defusing any such tension. For America, 7 years of fighting terror around the world and conflating orthodox Islam with fundamentalism and terrorism – with little progress – truly demonstrates that alienation of key allies in the ideological battle ground is a costly mistake. It is imperative that we avoid this mistake as we look for a fresh strategy to tackling terrorism and its challenges into the future. There should be an active attempt to identify scholars from the broad spectrum of Muslim groups that support the cause. We must stop inadvertently undermining the efforts of mainstream Muslims to oppose our common enemies and to expose these enemies as the deranged and immoral fanatics they are. Our ignorant and blundering equation of terrorism with Islam has overshadowed and impeded their efforts to regain control of their own moral space. To help them do so, we must restore respectful relationships with Muslim scholars and the governments they advise. Only then can we work with them to discredit Al Qaeda’s aberrant doctrines. In our natural preoccupation with American suffering on 9/11 or on the battlefields of Iraq and Afghanistan, we often forget that Al Qaeda’s aim is the overthrow of what it calls “the near enemy” – the Saudi monarchy and the Egyptian government – and that its attacks on us – “the far enemy” – are merely a means to that end. The successful vilification of Saudi Arabia and newly disparaging attitudes toward Egypt as well as the rise of “Islamophobia” in our politics represent major victories for Al Qaeda. They are defeats for our natural allies against the novel and perverted interpretations of Islam that Al Qaeda purveys. They are therefore setbacks for us. We need to rebuild key alliances in the Arab and Muslim worlds that the diplomatic reductionism of “either with us or against us” has destroyed. If this is clear, then I propose a more proactive, collaborative strategy for dealing with extremist ideology. I propose that Muslim scholars that are credible in the eyes of mainstream Muslim populations – and not only those scholars who come from a particular viewpoint – be used to educate the masses. Our anti terrorism strategy should be to build – theological resilience within the Muslim youth. Such a clear focused program would develop the necessary firmness in susceptible sections of the community towards distorted ideology. There is therefore a deep need for establishing a concerted medium for education that aims to build this inner resilience in our people. 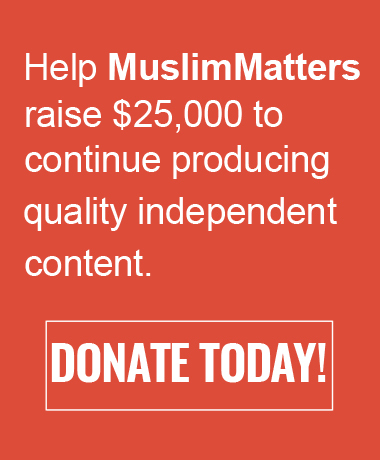 My own attempts at educating young Muslims worldwide in 5 continents, has been through an organization that I started called: AlKauthar Institute. AlKauthar provides tertiary level weekend courses in 5 countries and 10 cities with a combined base of over 6500 students. 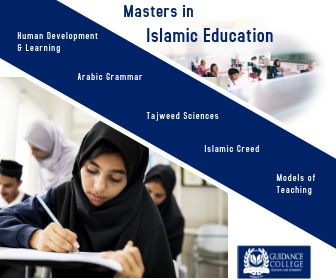 We provide professional intensive courses on a wide variety of Islamic topics. My main aim is to educate and enrich people’s lives through knowledge. Such a comprehensive application of Islamic knowledge will build resilience in these students, inoculating them and achieving natural herd immunity against extremism and terrorism. I suggest the countering of media hostilities against mainstream Muslim organizations, since it plays directly into the hands of extremists and makes the moral position of these same organizations that are proactive in fighting terrorism – all the more difficult. I suggest the formation of a concerted marketing campaign to help push out the key messages of independent Muslim scholars to the vulnerable sections of society. Since the war on terror has been a very visual and digitally laid campaign, the best way to counter this is with a profile based marketing campaign that gets the right message to the right person at the right time. A mass media campaign to general Muslim public would not be very successful since 99% of the Muslim population is not interested in terrorism and not directly drawn to it. It should be targeted at the most vulnerable sections of society. With modern technology at our disposal these days, we can ensure that proactive positive messages can reach the right people. I suggest that a strategy be developed to engage the average Muslim towards becoming proactive participants in their community. This can be achieved through an emphasis on knowledge followed by a focus on engaging them in their local problems. A person that has ownership of their society and community will never act in contravention of that trust. I call for the support of grass roots Muslim organizations that are proactively working to build ownership of community issues. My own attempts at establishing such a program is through a grass roots community development organization which I founded in Australia, UK and now in Canada and is hoping to open elsewhere. This organization is called Mercy Mission. The vision is to achieve a world whereby Muslims can live faithfully to their religion and where by their beautiful example, humanity appreciates the beauty of Islam. Our intention is to create Muslims that are pious, confident, self sufficient and self less back to their greater community. The strategy is to channel the thousands of students of AlKauthar worldwide, into a proactive program of helping develop their community. Our central projects are “MyNeighbours” project which aim to achieve social cohesion by energizing the average Muslim, Water conservation projects, Energy efficient Mosques projects, Health awareness projects, Islamic awareness programs for training police and security personnel in Muslim sensitivity training, Muslim scouts, Muslim community financial cooperatives – the aim being to engage Muslims in all walks of life into those projects that build ownership of their community – the aim being to defuse any attempts at disturbing the peace and harmony that such projects will create and turn the average Muslim into a contributing citizen of their religious fraternity as well as country. Muslims have a long history in Wales and Cardiff where Muslim migrants settled in previously. Utilizing the principles that we have put forward tonight, this is yet another opportunity to make Cardiff the centre of excellence in addressing the problems of extremism. Both London and Glasgow have experienced terrorist incidents – let us use every avenue and every opportunity to reduce any possibility of violent extremism in Cardiff. Ladies and Gentlemen, Islam is a religion of peace and enough is history – world history over the past 1000 years a proof of this fact. Terrorism and extremism is not a result of attachment to Islam, rather it is entirely due to a long seated detachment from it! The earlier that we realize this point, the better we can all prepare to cooperate and collaborate in making this world a safer place for us and our children. I thank God for this opportunity to share these words with you and my deepest regrets for any inconveniences for the delay in my arrival. I’m curious to know about the kinds of questions posed by the attendees, if any. From their point of view, I would guess that this presentation proposed a fundamental shift in strategy; one most of them had probably never even fathomed. I hope my message reaches you in strong Iman and health. 1. Who exactly are you referring to when you use the word ‘terrorist?’ What groups are you referring to? And are all Jihad groups today, terrorists? Are there any Jihad groups which are not terrorists/Is there a legitimate Jihad in our world today? I believe an honest researched answer only produces honest results. That reminds me. Since Imam Anwar is one of the very few Du’aat from the West, I think it’s best you engage a person like him since he’s a major source for some of the terrorists. If Allah is addressing the Fusaaq here, then for sure, taking news from the Kuffaar is something we have to be even more careful of! 4. I don’t think the term Khawaarij would be the appropriate label for them in our lexicon. I say this from studying their works; they simply don’t have the ‘Aqeedah of the Khawaarij. You’ll have to be extremely specific on this. For instance, if we are talking about al-Qaa’idah, they do not kill the believers and leave off the Kuffaar; in fact, we see the opposite. They attack the Kuffaar in Algeria, Iraq, Afghanistan, Somalia, Western Countries etc. (wherever they have fighters) and they help in the protection of the believers. In the case of Afghanistan, they work side-by-side with the Taliban – who is the governing force that is re-emerging – and they don’t only help in matters related to warfare, but also civil matters. The son of Usama bin Ladin is a testimony to this also; he left al-Qaa’idah, and Usama allowed him to leave and didn’t tell his fighters to kill him or fetch him. The point is, they don’t go around killing ordinary Muslims and if any Muslims are killed in an operation, it was clearly not intended for them (but for the allies or disbelievers themselves). Sometimes, we don’t consider the size of the bomb explosions as being a factor that mistakenly killed more than what was intended. This is why the Taliban, for example, continuously warn the Afghan public with fliers, speakers etc. to stay away from the foreign forces and the national alliance. a. None of them establish Shari’ah in its totality. b. The majority of them, if not all, take the disbelievers as Awliya’ against the Muslims. We can discuss those two points later if you wish. 5. One issue the terrorists constantly repeat with nothing but the backing of classical & contemporary scholarship is that Jihad is fard al-‘ayn today as opposed to it being fard kiffayah. One of the pillars of this principle in our age is Shaykh ‘Abdullah ‘Azzam. He has written (ex: “الدفاع عن أراضي المسلمين أهم فروض الأعيان“) and spoken in length on this issue and has had the support of many famous Scholars around the world, including Shaykh bin Baz and Shaykh ‘Uthayameen. Shaykh ‘Azzam didn’t just argue that Jihad was fard ‘ayn against the Soviet Union, but it was fard ‘ayn until all the Muslim lands are freed from their pseudo-Governments that fail to implement Shari’ah in its totality. And of course, his arguments are wrapped in classical scholarship. So how would you address this? Would you argue that it’s fard kiffayah? 6. Finally, the thing that makes the terrorists appear as Khawaarij is their application of certain Ahkam al-Jihad in modern warfare. For instance, the issue of at-Tattarus, the issue of ‘Ahd (Covenant of Security), the issue of al-Muharibeen, the issue of Dar al-Kufr, and so on. They don’t exactly re-interpret certain principles, but they don’t exactly limit themselves to some general principles. For example, when the Prophet (صلى الله عليه وسلم) laid siege to at-Taa’if, the Muslim army used Minjaneek (Mangonel ballista) which didn’t distinguish between combatants and non-combatants. So the terrorists look at what the Scholars have said regarding this incident and the rulings that are derived from this – which is obviously not taught to us in the West – and apply the rulings. The same goes for the hadeeth: “The Prophet (صلى الله عليه وسلم) was asked about attacking the Mushrikeen at night time, where women and children get hit (un-intentionally). He (صلى الله عليه وسلم) replied: “They are from them. (i.e. the attack should not be stopped because of the presence of women and children. )” [Narrated by Bukhari, Muslim, Ibn Majah, At Tirmidhee etc.] Again, the terrorists look at what the Scholars have said regarding this, and apply the rulings that were derived from the hadeeth. So the point is to go back to the Scholars they are looking at and the classical texts which they act upon, and start addressing them from that level. As long as you address them with labels, they will turn a deaf ear and continue their efforts recruiting more Muslims. As it is, after September 11th, we saw a gigantic influx of Muslim fighters joining the ranks of the terrorists, even from America; and it’s only increasing, especially now that the West is on the verge of collapsing. I feel that getting yourself familiar with their works will help you understand their arguments much better, thus leading to a better outcome, In Sha’ Allah. I actually have a lot more points to make, but this will suffice for now. I would love to continue this discussion with you by discussing some of the issues I brought up. Sh Nouman, I found the questions very positive and balanced. Some of the audience asked about how we the Islamic scholarship that I am talking about would counter some of the doubts that I presented in my talk that lead on to extremism and others asked me on more clarity on my second strategy – specifically how and in what form should we support the broad based Islamic scholarship – to which I answered that 1. Don’t hinder our preaching 2. Don’t alienate us by harassing us or supporting a campaign of discrediting our dawah 3. Don’t support one category of Muslims over others as it is one of the biggest arguments of the general Muslim public against anti-terrorism programs, 4. Don’t politicize the matter of anti-terrorism prevention. 5. Engage the mashaikh and seek their help and consultation rather than self proclaimed terror experts who have little knowledge of how to counter extremism from the grass roots except politically. One of the important things to realise is that UK is far more mature in their approach to this issue. They have already lived thru the terrorism of the IRA and so they are far more mature in their prevention strategy – so engaging them was more plausible than not. My impression was that 8 years of Bush’s anti-terrorism strategy with-us or against-us – has shown a lot of the more objective individuals in anti-terrorism boards that this is not the best way to counter extremism at all. I think the quote from Ambassador Chass Freeman Jr was extremely well received and widely accepted. One of the interesting things was that during question time, in the audience, one of the elder Muslim brothers blurted out that the real terrorist was George Bush who allowed the atrocities and perpetrated unbelievable crimes in Muslim lands. to this I quoted Winston Churchill: “If you kill a few you are called a murderer and if you kill a million, you are called a conqueror, an emperor. Truly it is the printing presses of warring nations that print the books of history these days, so without doubt history will speak of his actions with prejudice.” I believe this was acceptable to the audience both Muslims and anti-terror chiefs alike. Without talking about the comment itself, don’t you fear that your quest for acceptability that comes across in this piece is taking you down a path unsuitable for a Muslim today, let alone someone who is a reference point for other Muslims? A second point – what would you have the Muslims do? It seems you are all for integration and assimilation. Do we have no identity other than prayer and fasting? Should the Muslims in the Muslim lands roll over? If not – do you think any amount of explaining your understanding of Islam to them is going to “prevent terrorism”? Finally – just because someone is against killing civilians, does that mean they should be with the West, as an ally??? What are your priorities exactly? I was just curious as to whether it was seen as productive to use the term “fundamentalism” as oppose to perhaps something like fanaticism or some other term which may purport our message more effectively? jazakallahukhair Sh. Tawfique for the brilliant speech (transcriptions). the points you mentioned seem to be a logical approach to countering extremism among Muslims. if so, how do you suppose we do that? 1. The scholars should fight terrorism and extremism regardless if west supports them or not. Its the duty of scholars to correct the ummah. 2. The scholars would get a lot of credibility in speaking of such issues to layman if they do not shy away from propagating the real jihad as well and promoting it. I was reading on CNN about Saudi rehabilitation program for extremists, and I was happy that they are doing it, but half way through it started appearing more US talking points than work of true islamic scholars. I mean why would they discourage people from participating in jihad done in proper way all together. 3. The scholars should be shoulder to shoulder with mujahideen correcting them and teaching them and motivating them. Like late Sheikh Nizar Riyyan. I am sure for western governments authentic islamic scholars can not pass all their tests, so they would not support them. So scholars should take the tasks themselves without hoping for any help from any governments. This is a very effective strategy. Even though in my eyes it is legitimate and upon the Qur’an/Sunnah, if the truly radical person were to see the US Gov’t supporting an ‘Alim, he would lose legitimacy. Its kinda self-defeating…weird. I don’t know, honestly, but I like the fact that you’re thinking, writing and speaking about it. It makes me hopeful for the future when our Aimma are working towards progress, ma sha Allah. Can you post some guidelines, I posted a comment that seems to be blocked. I think the comment was relevant, not rude or disrespectful in anyways. Of course may be incorrect assessment for which it should be replied by peer commentators or sheikh himself. Can we get a glimpse of how you would answer the two example questions? May Allah reward you for this timely post. ‘Ali ibn Abu Talib didn’t use weapons, agents and untrusted religious leaders to reach the Khawarij. He used the best scholar of his day, the one most beloved to the masses and the one most gifted in explaining the Qur’an and Sunna: Ibn ‘Abbas. Who was far more successful than any Western endeavor to bandage the problem. Western governments will have to trust scholars to define and counter extremism within the Muslim ranks. By getting to close to such scholars, putting their names in newspapers with out their permission and accepting the definitions of extremism determined by those who are islamophobes, they will undermine such scholars ability to be trusted and have a positive impact. To be honest, when I first read this post, I was extremely wary. I thoroughly understand the basic premise of the article and the proposals made; it makes perfect sense that the best way to conquer evil (under any guise, by any name) is through the correct teaching and understanding of the Deen by those qualified to do so, in a manner untainted by government funding (or any other dubious source of finances). However, to name this as being a “Natural Ally of the West” just sounds… well, it sounds wrong. It makes it sound as though we, the Muslims, are allying with our own enemies – the ‘enemies’ not being the West specifically, but rather its rulers whom we already know harbour no real love for us. I have a feeling that this very article, by its title alone, is going to alienate those we’re trying to reach! It’s the manner of presentation and its wording that rubs me the wrong way, not the actual goal itself. Perhaps it was necessary for the audience you were addressing; but I still think that the vibe given off is going to be percieved very negatively by a large number of Muslims. BTW am I correct in summarizing the entire thing as telling the government to lay off of its current “anti-terrorism” practices and just let us do our own work, our way? How delighted am I to see Sh. Yasir Qadhi engaging with Tony Blair, and Sh. Tawfique engaging with UK anti-terrorism personnel. This is the best way forward. Knowledgeable Scholars helping and improving the situation instead of the two extremes, one side “Reform Muslims” and on the other “Closed-off Muslims living in a bubble”. Jazakallah Sheikh and hope you continue your quest. jazakallahu khayr for this article, my question is the following: how much focus should there be on foreign policy in these types of discussions? i understand the basic premise of letting people know that scholars can combat extremism, but to what extent should our scholars in the political arena also focus on trying to drive changes in foreign policy at these types of gatherings as it is one of the primary causes of extremism? i think that perhaps this is at least one reason people are uncomfortable with using words such as “ally” because it leaves the door open to also supporting these types of policies. how can I be a good citizen of a country that is one of the very nations committing acts of violence in Muslim lands? They continue: Rather, their participation in the wars on Muslim lands is a testament to the fact that we are in a situation of war with them. how would you respond to an extremist that says – you want us to integrate, but how can I integrate with a society that has so many social ills? Rather, the people of vices were destroyed by God, so should those of today. Jazzak Allaahu Khayr yaa Shaykh Tawfiq for raising difficult but important issues. I think I agree basically with Anonymouse….I agree with the idea that it is only respected independent scholars that can guide the ummah away from any type of extremism. Yet, I was very troubled by the terminology and what some could take as the implications of what you said. I don’t think such scholars would be “allies of the Western governments” and if they were seen as being so they would no longer be respected or independent. It is important to note that the UK has already tried at least some elements of what you are proposing, most famously (or infamously) depending on one’s perspective through its Radical Middle Way project. From my perspective, although I greatly respect some of the Muslim scholars who have participated in that project, it actually greatly diminishes their credibility to do so. That is the other problem, is the point of this to seek Western government support (funding etc.) Surely that is a disaster. Also, in certain parts the implication of the article seems to be that we should support or follow the example of the Egyptian or Saudi governments. I hope this is not what you meant to imply, because such a recommendation would also in my mind make a person lose all credibility with regard to these issues. Both AlKauthar and Mercy Mission sound like inspiring examples…I just think even the slightest indication that they are somehow meant to serve the interests of any governments, whether they be western ones or “Muslim” ones, would be a horrible mistake. Initially I had a bit of misgivings about the title, but then as I thought about it, I think the first issue that comes to mind is the negative associations that we have with the word “West”. I’d like to talk in a little more broad sense. Why is the “West” a dirty word? While Western governments have engaged in many injustices, the West itself is not and should not be a pejorative term. So, when the title of “West’s natural allies” comes into play, is it the prejudice of the word West itself that is blocking the rest of the message, or is it what we mean by “West” in the context of the discussion. So, many of us live in the West, enjoy a life in the West that is unparalleled in most Muslim nations, including the very freedom to practice Islam fully. There are indeed many values that the West possesses. Thus, then there should be value in being part of the protection of these values. Secondly, there is still a significant chunk of Muslims who feel that we don’t have a terrorist problem. While undoubtedly some of the West’s GOVERNMENTS’ foreign policies have led to an exacerbation and in some cases the actual development of terrorists (such as the role of CIA in creating Bin Laden), there is no doubt that there are a number of disaffected (mostly politically) individuals who are extremists and have the potential of becoming terrorists (putting their hate into action). Can we deny this? And while political disaffection may be the underlying source of extremism, it is the language of religion that is being used to cheer these troops of death (see Who Speaks for Islam on radicalism). Until our scholars talk their language and guide individuals away from extremism (like Shaykh Al-Oudah’s to Bin Laden), we will continue to have people guided to radical movements. Thirdly, there has been an attempt by the powers-to-be and the Islamophobes to let those people speak for Islam, who have no right to be. And in the attempt undermine the voice of “orthodoxy” and of “conservative Muslims”. Efforts such as the RAND report are clearly attempting to do that (I wrote about some of this in this post). So, Shaykh Tawfique’s point seems to be clear and spot on. The powers-to-be need to understand that people like Tarek Fatah or Irshad Manji or to a lesser extent Abou Fadl are not going to get significant mainstream support and definitely won’t reach the ears of the disaffected Muslims. So, they need to “support” scholars who will reach this sector of people, which is a win-win situation for Muslims and for the Western governments. We keep forgetting that Muslims also come ahead if we prevent our youth from becoming radicalized. And my reading into the article is that by “support”, the Shaykh doesn’t mean financially supporting our scholars, or using them as spies, etc., but rather to “support” by NOT preventing their dawah. By not imprisoning our Shayookh, like Ali Timimi. By not preventing Shayookh or scholars from traveling to America (there is hardly a Shaykh of Sunnah left who can travel to America anymore), by not holding their residencies and citizenships up based on technicalities, by not stopping them at airports for hours and hours, etc. What is the next logical step if these extremists don’t change after listening to your exhortations from the Quran, Sunnah and the examples of the salaf? Would you support their mass extermination in alliance with Western governments? Tawfique, while I agree that scholars and du’aat on the true methodology of Islam will be the best and most effective means against ‘home-grown’ terrorism (who better to explain the reality of Islam to Muslims, and to show them that our religion is about the worship of Allah and spirituality and not about carnage and violence against innocents?) it is problematic for scholars to form direct ties with people who obviously support a different agenda that you do. The scholars’ neutrality, alliances and loyalties will all be called into question. Echoing what Sh. Suhaib Webb said above (and also Sr. Anonymouse and Br. Abu Noor), I think it would be a good idea to write a part two to this article explaining the details of engagement. I know you very well alhamduilllah and can vouch for the fact that you intend good for Islam and the Muslims through this, but others will read in their misgivings. Hence the need for clarification. My GOD, won’t you people answer? I’m with anonymouse and Abu Noor on this. AnnonyMouse, Abu Noor and Sh Yasir: if you were to read carefully, I have called this alliance – ‘Natural alliance’ – meaning that it is not by choice or by primary intention that each are allies of each other. I do not know of any Western government that wants to support Muslim scholars – at the very least because they are secular by nature. At the same time, I do not know of any true Muslim scholar except that they stay away from associating with the Sultans (Ittaqoo abwaabas Salateen) as the hadeeth of Rasulullah sallallahu alaihi wa sallam in Abu Dawud mentions. So their alliance is not by way of intention or choice, but by way of coincidence. Muslim scholars do NOT want to see acts of vigilante violence perpetrated in the name of Islam, nor do western governments want to see violence on their streets. So here in lies the similarity in their interests – a natural alliance. Yet what we find is western governments don’t realise that Muslim scholars speak out against vigilante violence and they are the best defence against it – rather they are swayed by the logic that Islam or Wahabi Islam is the real problem. As a result, they harm muslim scholars failing to realise that they are their natural allies IN THIS MATTER. I think AnnonyMouse and many others are stopping at the word ‘Ally’ and not reading further down the sentence or further down the argument about what this alliance is in. And remember, it is not by choice, but by coincidence. – He is free to speak his mind. When a scholar is independent, then he is in control of his terms of engagement. He cannot be forced, coerced, coaxed, financially blackmailed etc.. – it is the scholar who is in control of the engagement since it is he who carries the subject matter expertise to defeat terrorism on its own intellectual battleground. It is preposterous to assume that if someone is consulted – that he or she is linked or working for that person. The Amir of Medinah regularly consults Sh Shanqeeti hafidahullah on matters of Islamic advice in governance issues – so is the sheikh now working for the Amir? No, because the sheikh controls what he wants to say, when he wants to say it. This is a matter in which our ummah needs to be educated. Would you rather the west consults Irshad Manji and the Quillam or the broad based body of Muslim scholars? Remember that this matter of independence is the biggest thorn in the throats of those who want to control the agenda of Muslim scholars. It is precisely why I kept stressing the point of independence all the time. So when the war on terror – becomes a war on Islam or on policing Islamic education and thought – we oppose it vehemently and when the war on terror – becomes one against vigilante violence in our own communities – then we agree with it and support it. 4. Don’t politicize the matter of anti-terrorism prevention. 5. Engage the mashaikh and seek their help and consultation rather than self proclaimed terror experts who have little knowledge of how to counter extremism from the grass roots except politically. It is more to do with not stopping and not hindering our path so that we can continue to do what we are best at – preaching our dawah – which as I tried to show them – will naturally build a theological resilience in people. Muslim scholars don’t need to directly address terrorism all the time. Rather, by them continuing to preach, they are already building this resilience in people that in the long term will keep them away from vigilante violence. Also another important point: I mentioned very clearly – that these scholars that we are talking about – are broadbased reaching across the community, not limited to just one group or one category only. Is this not a defence against categorizing our scholars into – a sufi vs wahabi boat and systematically targeting the other? My friends, if we do not argue this point, then what will be the end of our mashaikh in the next 10 years time? How many of our mashaikh are being insulted in the media, constantly harassed in airports (some tell me that this is the main reason why their hearts don’t feel like traveling for dawah any more since they don’t like being insulted), our phones, emails, SMS etc.. all bugged until so many mashaikh don’t feel comfortable sending their wives an intimate message knowing that other people are listening in, until so many of our mashaikh are also imprisoned and more will be so in the future? Yes no doubt, such difficulty and imprisonment is a purification for our mashaikh, but it is a museebah and tremendous trial on our ummah. Look how largely aimless it has been for the dawah since Sh Jafar left the USA and Sh Ali has been jailed and only recently is it trying to stand up? I would rather work to keep our mashaikh out of prison rather than cry foul once they have entered it. Abu Noor, AlKauthar and Mercy Mission are independent waqf organisations owned by Allah alone, and not funded by anything except direct donations and course fees from the Muslim community and never aligned with any government or agency any where. I would like your opinion on what I have written. I have more points to make, but I would like first your opinion on what I stated. Clearly these names are just excuses for violent behavior that really has nothing to do with religion but rather arises geopolitical and socioeconomic grievances that are merely expressed using religion as a common language. Religion is simply being used by charlatans as a means to rally people to a political agenda, which happens to be blatantly evil and vile in its methodology. Any human being with a fitrah knows that such senseless murder and carnage is a heinous crime in the sight of God. Undoubtedly, muslims feel grief and resentment over the oppression and subjugation of their brothers and sisters in many parts of the world. This is part of our faith. But the correct manner of rectifying that situation is not in wreaking destruction on innocents which is as counterproductive as it is unjust. Rather, the correct method is engaging in a comprehensive revival of the Islamic teachings and transforming muslim societies to bring them back to the Prophetic example and removing all forms of corruption and injustice. Maybe we should form a natural alliance with the khawaarij against the west? After all, we’re all Muslim. I don’t understand how people lost sight of the article’s point and could not get past the title. It is quite obvious that the Shaykh is not advocating any type of government affiliation for the scholars, but rather that there be support for the scholars’ efforts to educate the muslims with the true islamic teachings – or at the very least – that the vilification of ‘ulema come to an end. MashaaAllah, Shaykh Tawfique is truly a gem, may Allah continue to bless him with knowledge and the the wisdom to articulate that knowledge and use it effectively to bring about positive change for the ummah. Ameen. I think you misunderstood my post. The terrorists are not blind followers of all the Scholars, in every issue. They practice “take what is good and leave off that which is not”, which is a practice of the Salaf as-Saalih, technically speaking. My mention of Ibn Baz and ‘Uthayameen was in a specific reference to Shaykh ‘Abdullah ‘Azzam. Ibn Baz and ‘Uthayameen supported ‘Azzam’s fatwa that Jihad is fard ‘ayn. That was my point. As for suicide bombings and the like, the terrorists follow other Scholars. You can google these items and easily find them widely available. a. Bring back Shari’ah in the Muslim lands (by fighting the governments and occupiers). I also refer you to the former CIA official and leader of the Ibn Ladin unit, Michael Scheuer. He was in the CIA force for 22 years; this man certainly has experience and when you see his works, it is clear that he understands his enemy very well. He has quite a few books such as “Imperial Hubris” and quite a few interviews that you can find on youtube. Again, a simple google search will do the trick. mnk…reading the article would take away the valuable time needed to post a comment. It’s all logical, you see. Would you mind if I published a piece of this on the blog I help run, Inside Islam? I’ve been reading recently about Barack Obama’s faith-based partnerships office, and I would like to post this as a reaction to articles about the expansion of that office and possibility of interfaith community projects. Also, The International Studies department is in partnership with the Inside Islam project. I would like to post it for members of the University of Wisconsin faculty to respond to with their own posts. PS: You don’t have to post this comment if you don’t think it adds to the conversation. 1. The “War on Terror” comprises a tyrannic military offensive against Muslim Lands in which countless Muslim civilians are unjustly murdered, maimed, orphaned, widowed and made homeless. Its “ideological” side is a campaign to “reform” Islam to a culture that fails to even attempt to challenge secular humanism. It is a driveou with to fulfill the objectives of the 2003 RAND report. How can a Muslim scholar in any way be an ally to this? 2. You maintain that only independent scholars are best equipped to tackle extreme views, but then you contradict this by proposing to an audience of UK government “counter-exremism” officials that “mainstream” scholars be “used” as part of a strategy! 3. The role western foreign policy plays in fomenting violence is completely downplayed, so most of the fault lies with Muslim leadership. This is exactly what your average Daily Mail reader wants to hear. We Ask Allah to guide us all to that which He loves and that which truly pleases him. 1. You made a pragmatic argument in explaining why independent Muslim scholars are natural allies to fighting terrorism, this is clear to most of us (moderate educated Muslims) as a whole as well as a few of those intuitive experts, journalists, thinkers, etc. who have pinpointed the root causes and offered realistic solutions (such as A. Chas Freedman quoted above). Also, it is healthy to see that (for instance) in the US that ISNA leaders (Ingrid Matteson) have been invited to the faith based programs/projects by the Obama administration. However, the reality is quite grimmer in the sense that much of the politicians in most western nations are quite uninformed and perhaps easily sway toward “popular” opinion/lobbyists and therefore will have major concerns and apprehensions if not outright rejections to such endevours. However, if it is done through a medium of influential “think tanks”, influential educational institutions (such as Kailtan’s post in this thread), or other well known organizations that represent Muslims, it may lessen the heat. The point is that a well thought out “realistic” strategy has to be in place for the idea to move forward in a meaningful way and I pray that Allah helps out in what is best. Another thing to keep in mind is that It may work out in some countries and it may be heavily contested in others. In terms of what we expect in return, there should be concrete and clear terms which are to be legally respected and in fact most all of these expectations are already guaranteed by the rule of law, however they should be re-emphasized. 3. Lastly and most importantly, choosing the right scholars to undertake such a challenging task. As experience has shown, if the right people are not chosen, a sort of failure could result where it may actually give more attention to the terrorists and their false ideologies. This is why the astute and amazingly intelligent scholar Ibn Abbas (ra) was chosen by the amazingly astute Ali (ra) to debate the “terrorists” of their time, it could have failed had it been someone not upto par. And this begs the question of having the qualified people to represent the Muslim masses, scholars who are sincere, knowledgeable, sharp, have foresight, knowledge of current affairs and systems, ideologies, etc. and are well known and respected and are active in representing Muslim beliefs and interests..After that challenge, the next great task is to spread the message as you alluded to. However, keep in mind the media’s attitude toward Muslim initiatives, that in itself will be another challenge, however this will be one of the areas where the authorities can help in return and protecting the civil liberties of Muslims and conveying the clear message of the distinctions between “Islam” and “terrorism”. Again, I wish you the best and look forward to reading more detail regarding this noble task. You made an extremly important point which is often overlooked. Jazaakallaahu khayran Sh Tawfeeq for the effort and this write up. I think it is timely and much needed. I agree with the points raised, however, taking the article further, what happens if one of these independent scholars is called by the government to work for them or head a unit? Should he accept the appointment taking into consideration the credibility issue? Although, this might not be connected directly with the main focus of the article, it will be very productive if you and other learned brothers can address some of the issues raised by AbuMuslim. We might not agree with the approach of the “Jihadi” brothers, however, we cannot deny that sometimes, they do have compelling arguments. Many of the youths are swayed by their arguments which many times are backed with scholarly evidences (how authentic or relevant is another issue, but just how many can research that). I think Abu Muslim has effectively summarized the key issues. Jzk for your frankness, however I think you have missed the argument somewhat. If it was praise that I was seeking, I would not have put this up on Muslim Matters allowing every critical post and criticism. You know me better than to suggest that I am flattered by sycophantic praise. It is but seeking to address imminent danger on our speakers that I put this up. In this regard, perhaps there are things that I am aware of which you are not. 1. It is quite clear that the title of this passage is causing quite a few people to draw conclusions. Btw the way, that was not the title of my talk at all. The title that I was originally asked to present to them was: Preventing Violent Extremism – A view from Islamic Scholarship. 2. I am not arguing that we ally with the western governments in ‘their’ war on terror. Not at all! I tried to show how Muslim scholars have been fighting ‘our own’ war on terror long before George Bush was standing in the lines of Alcoholics Anonymous. Please read what I mentioned in the talk. I mention how the war on terror has blundered itself by destroying their best defence. In the Q&A when Radical Middle path and others were mentioned, I clarified how support for a marginalized group actually doesn’t achieve any positive outcome at all and how imprisoning scholars was the greatest disaster for any anti-terror effort. Very clearly, I am critical on the way their war on terror has been waged. So in no way am I proposing at all that we support whole heartedly their policies in the war on terror – not at all. Being ‘independant’ allows us to agree with that which is right from the anti-terror policies and reject that which is wrong and counter productive. What I am saying again and again – from our own ideology is that in Islam, vigilante violence is wrong and we are – by our own preaching – building theological resilience against terrorism in our people already (it is in this manner that the alliance is natural) – so don’t harm our dawah, don’t marginalise us and don’t hinder our scholars. By Allah, how is this the same as agreeing to the government’s anti-terror policy whole-heartedly? 3. I completely agree with you that UK foreign policy has been the greatest sign that the war on terror is malaligned. However, note the following why I choose not to enter into this: Firstly: Remember that the outcome that I was after was essentially this: Do not harm Muslim scholarship. As a result, my arguments were totally centred on how harming Muslim scholarship has negatively affected their own interests. That’s all I really wanted to talk about, because that was the most plausible achievable outcome that I felt I could possibly drum in from a 30minute talk to people who I will probably never see again. That is where my judgement and istikharah led me believe. I had limited time and I had to achieve the best outcome for the dawah that I possibly could – and I choose to focus on preventing imminent harm on Muslim daees, speakers, scholars and lecturers in the west. I was not given so much time so that I could talk extensively about how the government’s policy was wrong, otherwise I would have raised 10s of issues such as – foreign policy being at the behest, curbing of Muslim civil liberties, concerted Media and PR campaign discrediting Islam and Islamic values and ideals, deportation of citizens on flimsy charges, cooperation with services that support torture of Muslim prisoners, attempt to selectively ban Muslim groups whereas BNP being allowed to flourish etc.. etc..
time to produce a generation that can resist the Russians after we are gone.” Something to ponder on. The basic issue here in the comments thread, as I see it, is that everyone seems to be taking up the topic from the wrong end. More emphasis is being laid on wordplay and the impression you get is that those issues are more important. The main point here to be noted is that misguided and deviated thinking and action, which the Western governments call “Islamic Extremism”, are a reality. We need to OWN the problem, and support the scholars who, as Sh Tawfeeq said, have been denouncing acts of violence for a long time now. Rather than bicker about rules of engagement with the Western governments, the question is – how can you appeal to the moderates in these governments that the Islamic scholars (those who’re against violence) ARE the solution? We know certain countries have their own agendas and their lobbies are working against the progress of Islam as a whole but not every single person is involved in that, and it is to them that we want to appeal, to not antagonize the efforts of the scholars and speakers to curtail acts of violence. Western countries will not be happy wirh us until we give up islam. We should not ally with enemies of islam. I have seen such allies mention wrong things in islamic talks. Khwaariij was fighting with the muslims. Isn’t there a difference ? I dont understand how their can be fair criticism if you request tight control of comments. Secondly, I would like you to define who you consider to be the scholarship the west should allow to deal with this ‘extremism’. Are the lecturers of almaghrib and alkauther now considered scholars? (I ask this with all due respect to the knowledge they have sought) Since when is scholarship based upon studying in Madeenah U? or any other institute? Thirdly, Who do you define as extremists? Muslims of all types are being detained and jailed. Is the moderate voice you speak of, a voice that is cowardly in the face of tyranny? Fourthly, I listend to your ‘Rise and Fall of Andalus’ and I am quite shocked that you would speak months later in such a manner with ‘izzah’. Jazakallahu khairan Br Tawfique for the above article. It is a difficult topic and indeed it is difficult to please everyone. Naturally it has resulted in a variety of reactions. Some have done it with good manners and others not so. Just a comment on the above post by br Tuwaylib. Why do did you hightlight one section of the above paragraph and selectively failed to notice the next sentence where it is clearly said ‘Criticism is always acceptable on these pages, but if it turns into rude or derogatory…’? Secondly why did you pose the following question in that manner, ‘Are the lecturers of almaghrib and alkauther now considered scholars’? Did Br Tawfique mention this anywhere? If not then why the insinuation? We seek refuge in Allah from the whisperings. May Allah reward you br Tawfique for you refforts and aid you to continue the dawah you are doing around the globe. Because if there is criticism that he cannot handle I suppose from that disclaimer the comment would monitered i.e. deleted. Secondly, i posed my questioon in that way because it seems from my side of the pond that almagrhrib has made themselves out to be scholars because they do not link the students to the scholars but to themselves i.e. almagrhrib and it appears to be the same with alkauthar. Br. Tawfeeq didn’t have to say that, the culture of these organizations implies it and that is why I’m asking to clarify. That is your ASSUMPTION, and I think the truth of the matter right here on this page belies it. This is your second ASSUMPTION. What seems to you is your personal view. It doesn’t necessirily reflect the truth, and how do you expect people to answer such comments? As far as scholars, in the English language, it is not as loaded as the word ulema for instance. I don’t think anyone is under the impression that any of the students of knowledge are of the ulema/mujtahid level. But in English language, it is technically correct for them to be labeled as scholars. What else would you tell, say a non-Muslim when introducing Sh. Yasir? That he is a student of knowledge. Doesn’t register. So, consider things in context please. Scholar: a learned or erudite person, esp. one who has profound knowledge of a particular subject. You mentioned a couple of times about the necessity to travel and move about for purposes of dawah, something which could be hampered if governments create trouble for them. I feel this is not necessary, as in my opinion, the best way of dawah is if the students of knowledge stuck to their own communities in their respective cities, and gave dawah to the local group of students who attend their halaqaat, masajid, etc. This ensures consistency in the spread of islamic knowledge over time, and it provides great room for practical implementation of dawah efforts (eg you can check up on students coming for fajr salah, follow up with them on their personal issues, affect and influence their families, and be a part of their progress in life when they get married, have children, etc). I speak from personal experience, and feel this method of dawah is much more effective in the long term – its definitely long term, yet it allows students to change their old habits and ideas, which can rarely happen with a weekend or double weekend course. Those types of courses are merely temporary eman rushes – the rush ends when the class ends. This method can result in extremely strong and well-knit (albeit small) communities of brothers and sisters who are willing to help each other out in areas other than islamic knowledge, such as business establishments, family issues, marriages, etc. as opposed to building humongous communities that span entire continents but do not have any substance. But most importantly, and this is basically my point, students of knowledge will not be in the national public eye anymore, hence they can be free and independent in their approach towards spreading knowledge to their students and community members, and would not have to worry about facing the public glare, and the possibility of being attacked for speaking the truth or being tempted to change the truth. With excessive popularity and media glare out of the way, they can spend valuable time in building communities and raising a generation that will learn the true teachings of Islam, a generation that will stay on the moderate path and not fall into either of the 2 extremes. You’ve sure opened a can of worms (for want of a better phrase!). I think bro, you are clearly damned (by people) if you do, damned (by your responsibility) if you don’t. The fact of the matter is, there is NOTHING in this deen that we should ever be hesitant to talk about to anyone, every letter, every action of this deen (and note I say deen and not people) is divine. So if elements of our community are turning rogue, then indeed it is for the people of sound knowledge to advise and correct them,a nd let the general populous know that these elements are not from our tradition.. HOWEVER this doesn’t mean you don’t tell the government where they are wrong. I think a lot of people are missing the point of the article, and are hung up on what the article alludes to, rather than states. The fact is people of knowledge are diminishing, and if the few that we have are being restricted than the only ones to prosper are those people who claim to have knowledge but are about as deep as a puddle! We have to be engaging on all fronts, it doesn’t mean we dilute our deen in anyway, but I think sometimes we forget and we focus on making certain issues the goal, rather than the journey. Indeed our goal is to make the word of Allah azza wa jal, most high, and people need to start looking beyond their local halaqah or their local teacher who has street cred. I do also take into account what Br Nabeel is saying, and its difficult, because you do feel like screaming at the leaders in the west for their injustice, and thats why in these times we are all looking to brothers like yourself and Nabeel for guidance, and if we agree or disagree with you it is for Allah’s sake. Oh and please Abu Abdullah hope you arent sharpening your knife over my comments! So it seems the scholars should go one level up as they are facing hurdles in their dawah? Really, you should ask the scholar who said this… is it fair to hold someone else to answer it? We are just kidding ourselves. Just admit your human weaknesses and learn to live with them and learn to live with who you really are. You know what. I would not mind it in slightest way if our beloved and respected scholars openly admit their weaknesses and limitations, and we should openly accept it as they are still doing more than what we are doing. I mean whom am I to criticize them, when I am not even doing what they are doing. But I think they should atleast not bad mouth people who have chosen what they are not able to do so. I mean if they are afraid of praising it even, then just do not condemn it. And ofcourse there are things that some extremist elements do which are totally against shariah, but that is known to almost every muslim instinctively so no point of rehashing it. May Allah bless you and reward you. I have some concerns that I would like addressed by the shuyookh, I hope that I don’t seem too forward (unlike other commenters, I wish to address the shuyookh with respect). 1. Although I disagree with most of what Abu Muslim (and others have said), why haven’t any of the shuyookh responded to their comments? It’s seems as though they are intentionally avoiding them. I would understand if it’s a lack of time, or that they don’t want it to spiral into a huge off-topic debate. However, it seems ironic that we have an article that claims that muslim scholars can educate the youth from being confused and becoming terrorists, yet none of the scholars are challenging the arguments put forth by the terrorists (which some of the commenters have admitted are “compelling”). Perhaps I’m just being impatient…. As a side note, I haven’t seen any detailed refutations of the Jihaadi sect, beyond just quoting the verse 5:32 “If a soul kills a soul unjustly…”. I (personally) haven’t seen a refutation of the concepts such as “jihaad being fard al-‘ayn for the ummah”, etc. Again, the claim of the article that muslim scholars can fight terrorism (by educating youth) isn’t strong if the scholars have not addressed these issues, and the youth are getting confused. If there are such refutations, please link me to them. 2. A previously made comment brought up a good point, how do we know what and when there is a legitimate jihaad? And how can western muslims trust western muslim scholars on this issue? Although we have husn ad-dhann of our scholars, in the back our minds, we’re worried that the scholars may be compelled (by certain forces) to do “tawriyah” (double-speak), or to hide information for the purpose of protecting their lives and da’wah mission. We don’t know which scholars have been “visited by the authorities”, etc. Now I know a possible answer might be, “Just look at what matches with the Qur’an, sunnah, and classical sources”. But the fact is, everybody is quoting those sources by which they are confusing the youth! 3. Finally, if muslims themselves have doubts concerning their own scholars, what about Western institutions? How can they trust that a muslim scholar is fighting terrorism now, but won’t be calling for it in the future? Or he calls for it secretly? Western authorities consider these to be legitimate concerns, therefore, they will monitor phone calls/emails, try to put away people they consider a threat in the future, and ultimately hinder the preaching of scholars. I think this issue definitely needs to be expounded on. Especially since the Western authorities won’t agree with the mainstream (non-jihadi) independent scholars on the definition of terrorism itself. I don’t know Shaykh Tawfeeq personally and I have never taken a course with Al-Kauthar so can’t comment on the Dawah front. But a few things bug me when Islamic scholars propose cooperation with Non-Muslim government and I will make this brief. Firstly, they go out of their way to whitewash the crimes of these Western Government or at least put a positive spin on their covert activities and support for shedding the blood of the Muslimeen WHILE they never make any excuses for their Muslim Brothers & Sisters who make errors in Jihad. Secondly, they tar all Muslim engaged in Jihad with the same brush. There are Muslims around the world who have been fighting a “war of survival” long before the present “War on Terrorism” was instigated. Thirdly, they speak without proof about their Brothers & Sisters. What is the credible evidence (Islamically) that our Brothers & Sisters are indeed engaged in Terrorism? Has this been to an Islamic court, has a Qadhi ruled about their activities? Fourthly, lets assume the worst that those people who blow up innocent civilians (7/7 London, 2008 Mumbai etc.) were Muslims EVEN THEN their action is Fisq (at best) and not Kuf’r i.e. blowing up innocent civilians is MAJOR WRONG but this is not an issue of Aqeedah which takes one out of Islam. So first of all we are not even sure who is committing the worst of these atrocities and even if these were Muslims they are STILL within Islam therefore closer to us (then Non-Muslims). Lastly, if the Ulama are so concerned about this matter then LET THEM go to Jihad and correct their Brothers on the Front-Line and practically participate in Jihad (Remember Shaykhul Islam Ibn Taymiyyah (RA)) anyone???). I am sure there must be SOME PLACE ON EARTH where Br Tawfeeq Chaudry must admit that there is legitimate Jihad (and not Terrorism (as the West defines it)…It would be comforting for us in the Ummah to know that Br Tawfeeq Chowdhury believes that there is legitimate Jihad SOME PLACE ON EARTH and then he can rule that Muslims should support that legitimate Jihad with whatever means within their disposal. I hope that Br Tawfeeq Chowdhury will give us his opinion, Insha’Allah. jazak allah khair sh tawfique…your effort will insha allah bring some positive contribution to the issue of terrorism. so far he goes into detail breaking down the so called evidences used to justify suicide bombings, targeting of foreigner’s and using violence as a means to pursue their agendas. I agree with your first point. As for your second point, give me a break. You know very well the word ‘scholar’ is loaded. How many of the graduates of Madeena U act as if they are mujtahids even if they vocalize they are not?! It is quite natural to ‘assume’ by ‘scholars’ one means the instructors of almaghrib and the like. Just look at how sincere almaghrib brothers/ sisters act as cheerleaders for the instructors as if these respected brothers are infallible. If my ‘assumption’ is wrong than who is it that is intended by ‘scholars’? Sorry I do not have access to the sheikh, he is from UK. Someone else can correct me by telling me that what he said was wrong. Thanks. tuwaylib – what difference does it make? how about we just call them brother yasir and tawfique? will that suddenly change any of the issues being discussed in any way? no. why waste time on a debate such as this? My issue isn’t how to address these brothers. agreed, however semantics is a vital issue in this because who they consider an extremist or radical is vastly different from “only those who target innocent civilians” – and this is quite explicit and clear in the rand report. Also, RAND is a think-tank and not an official government arm, though it provides services for it. The report on Muslims was probably inspired by neocons in the previous admin. I guess my point is not we cannot accept RAND as US policy… it may influence it, but that is where Muslims need to come in and affect the outcome, rather than being spectators to it. Yes, maybe you are right Br. Amad in that we cannot accept Rand as US policy, but what is worse, Rand who produce papers about Muslims or US policy itself that has invaded Muslims lands and killed an untold amount of our brothers and sisters? In other words, you can take Rand out of the picture completely if you so desire, but US policy as it is will go on regardless of what puppet is in power and despite the seemingly willingness to engage and extend a hand, these are just words whilst the realities remain the same. The believers throughout history have always been opposed by the disbelievers, and how could we expect any different when Allah tells us that they will never be pleased with us until we leave our religion and that what they conceal in their hearts of hatred towards us is much worse than what has appeared from their mouths. As for Br. Tawfique then you may be surprised to hear after reading the above paragraph that I believe some brothers are giving him too much of a hard time. He saw a problem, one which will only escalate, so he is looking to the future, and he has taken a means to try to combat that problem. Now whether that was the right means or not is of course open to debate. However, I do not understand from him and his usage of the word “allies” what some here do. Rather, I understand him to be saying just leave us alone and let us do our thing as opposed to saying we want to “ally” with you, and there is a difference between the two. Someone mentioned about not referring to the students of knowledge as scholars, and I kind of agree. Part of the problem though is that many have pumped them up to such a celebrity like status and are constantly referring to them as such, although I believe that some of the students of knowledge should be doing more to combat this disease and one of the ways to do so is to connect them to them actual scholars as opposed to assuming the role of scholarship themselves. I have a issue to raise. Many brothers in prison are arrested based on their intention to do something. It is said that if a muslim has a wrong intention but stays from committing that act, he gets reward from Allah. I have been thought that someone can be punished in sharia when he commits a sin, ie murder etc. So, why do they ally with the west who arrest muslims without them havong committed the act? i think we sometimes (including myself) fall into an “absolutism” type of mentally where we believe that everything should **only** be this way or that way , where as one of the da`ees acutely remarked, “Islam deals with things the way they are and not the way they should be” and I think that is quite profound if one really gives it some thought and it is concepts like that which can strengthen our views and outlook.. In Hudaibiyah, I recall that when the delegation from the Quraish (who were the oppressors) were sent to the prophet (saws) , the prophet (saws) asked about the person who will represent them and it was said that it is “Suhail” so the prophet (saws) said something to the extent of “sahalallahu amrana”, subhanAllah, he (saws) was being optimistic from the Quraish delegation even merely through his name…so there is great wisdom about optimism and learning to deal with things the way they are in the best possible manner….could one ever possibly argue the the prophet (saws) comprised “faith” (walayathoobillah) or compromised any tenets of the religion by “engaging” the Quraish in a mutual alliance/agreement regarding Hajj and some other issues? Even Umar (ra) in that incident could hardly hold himself back and had to be reminded to calm down as it was a very difficult situation for all the companions, but that noble wise decision served the best interest of all the Muslims in the long run even though some of them could not grasp the immediate repercussions..
.. so let us keep the historical context in mind and think much deeper about the issues before jumping quickly to respond to our brothers who are active in doing much good for the benefit of Islam …may Allah ta`ala increase us in knowledge, wisdom, baseera, firasa…ameen.. So according to Quran and Sunnah, does Jihad continue or has it ended? If muslims are attacked, can they defend themselves or should the submit to the kuffar as the emir wali? I ask only shuyookh answer and no other muslim since you’re not qualified. 1- We are all aware that the british and other western governments desire is nothing but to eradicate Islam, the true complete Islam, and they are doing their utmost best to promote those muslims who sell and compromise their din to appease them for fame and money. a- they are using everyone aganist each other, I mean the muslims. c- the west is waging a political war against the true and complete nature of islam. They want to seperate politics and Islam, maybe they believe that you support that mentality and hence they feel they can use you in a way? 3- We are not saying that you are NOT to engage, participatation, in my view, is vital in our current lightening clmate, however, you have to be CAREFUL of not falling in their trap. The MCB were trying to do the same but when they found out what MCB is all about they side lined them – they couldnt use them for their spurious and evil intentions, hence they are suppporting the Quillimites. 4 – I dont understand why people are making a BIG fuss about this, it is not about Wala and Bara here, is brother Tawfique doing wala to the kuffar simply because he wants to engage? There is much to be said on this issue and I have nit read all the comments so I might be repeating myself and also i dont have much time to check the mistakes, so ‘afwan people. Jazakallahukhair Shaykh Tawfique for putting your time into this. or is it for the sake of Allah we feel what we feel? Shaykh Tawfique isn’t naive in saying things like this without putting deep thought into it (wallahu alim). He is a very intelligent and dedicated brother/teacher mashaAllah. May Allah preserve him and all the students of knowledge. Ameen. At first when I read the title I was confused, but as I began reading the article I could see what you were talking about. The further comments you posted elaborated a bit more and Alhamdulillah I agree with your stance in this issue. I do believe that a part two to this article would be a good idea insha’ Allah. The only way the Ummah will return to it’s peak is by returning back to their deen, and the Ulamaah and du’aat play a big role in doing this. Hamza Yusuf has lunch with bush, Yasir Qadhi is learning from Tony Blair and Tawfique is teaching top anti-terrorism chiefs? I’m admitting I am an ignorant muslim who cannot understand the hikmah.maslah behind these events, but because I disagree I must be an extremist, radical fundamentalist, right? I had many other points that you left unaddressed, but I guess that’s a start. My main point was that if you go through the works of the Mujahideen Scholars – such as Shaykh ‘Abdullah ‘Azzam – then the issue of Jihad becomes clear in our day and time. You mentioned Ibn Baz as one of the greatest Scholars of our time; Ibn Baz was the one that full supported Shaykh ‘Azzam’s fatwa that Jihad is fard ‘ayn. On a side note, do you even know the arguments of the Mujahideen Scholars regarding issues such as 9/11 (i.e., hijacking), martyrdom operations, and the likes of which were not seen before? Do you honestly believe they pulled their evidences out of thin air? The point is, if you want to tackle ‘terrorism’ seriously, you will have to look into their works, very seriously. I know you don’t believe that Sh. Ali Timimi was an extremist. They do and that is why they harmed him. There are countless cases like this and aiding them and allying with them in this war on terror is aiding them againt more and more Ali Timimis. Like it or not, this is fact. And try telling his family that we should ally with the West in their war on terror. The US government won’t even release the tapes of conversations between him and Saudi scholars discussing plans to promote co-existence. Its hard to accept that such governments could even be trusted as allies. Subhanallah, in this time of confusion, when justice and truth are used by many as tools in order to control and distort, it is difficult to side with any of the ‘sides’ entirely. But at the same time, it is incorrect and dangerous for an average (Islamically) uneducated individual to base such crucial matters on personal opinions or ideas. Is one group right, and everyone else wrong? Are some aspects from each group correct? Who’s understanding is correct, who’s is not? It hurts the head and it hurts the heart to be so lost. It is clearly established that Jihad is as much a part of Islam as everything else – Allah has blessed us with Islam to deal with all matters in life. Rather, it is well known that Jihad is packed with the most reward for the believers. Being such an important aspect of Islam, it is one that is least spoken of. What are the conditions of Jihad? Where and when and in what manner is it to take place? Who is responsible to take part in it? Against who or what? Are there specific stages? What stage are we at now? Are all Muslim s at that stage, or is it deeper than that? Jihad has also become a very negative word due to the confusion surrounding it — after all, aren’t humans naturally afraid of the unknown? Think about it, even the different students of knowledge Muslims rely on are afraid of ‘making waves’ and they avoid addressing it directly for fear of being persecuted or neck-deep in legal trouble. Putting myself in both brother Tawfique’s shoes and the shoes of ‘Jihadist Muslims’, both sides have strong and viable points and goals. What if we emphasize communicating and compromising amongst Muslims to develop a unified goal and the steps to get there, rather than working so hard to work with the West? It sounds lovely, but how do we get there, realistically? The ‘West’ obviously has to play some kind of role given that it is today’s superpower still – and Muslims are divided and weak. So, it would help if the West refrained from hindering the spread of knowledge, but the knowledge that is spread must deal with all aspects of Islam – Jihad included. We need to appeal to them in truth, but at the same time, we can not be complete pacifists, as Jihad is something that is necessary. In and of itself, it can never become inapplicable, but there are stages, correct? If we stand for truth, remain transparent and sincere, and present our plans to the right audiences, it should be less difficult, inshaAllah. So, brother Tawfique’ is not too far off, in my opinion, but the lesser of two evils requires cooperation with other extreme Musilms, for there is more common ground with them then there is with the West. This can not be done with the West intervening and locking up the positive forces, but we can only only go so far. We need to do something. Tawfique is doing his best to start doing that something. However, it looks like the biggest issue people have is a matter of priorities regarding the fine-print of the plan, and who is being to appealed to , and in what manner. Subhanallaah. I get it. The goal is clear and it must be attained even if you have to do something that you don’t want to do, something that is wrong. But compared to the greater benefit of that goal, that little wrong is necessary. Wrong is still wrong, but it is sometimes necessary to achieve that which is right. When you go grocery shopping, is there not music playing in every grocery store? There is; we might have even grown accustomed to it. But, music is haraam, right? There is no doubt about it. Still, we need to buy groceries, we need to survive – and avoiding the grocery store completely will lead to excessive hardship – it might even be border-line impossible in this day and age. Without groceries, you die. Because of the necessity of life and preserving it, you have to go to the grocery store, you have to hear the music. But at the same time, you do not hang around and relax, and enjoy it. You can hate it in your heart, you can even futilely request that it is turned off, but you can not avoid it because you need food. So what do you do beyond that? You only do what is required and nothing more – grab your groceries, pay, and get out of there. Likewise, Ithis idea of brother Tawfique may be something that is necessary, but not 100% right. The bigger picture is still just as pretty despite the scratches on the frame. Mind you, it is not like he is proposing that we seek their help or protection – he is merely asking to be unimpeded in spreading the key aspects of Islam, developing the overall piety and practices of Muslims in general. He is laying the foundation, as free from defect as possible. This would not only contribute to better communities in general, but with the increase of knowledge, people are driven to be even closer to Allah, and thus closer to establishing true justice. Nowadays, most of Muslims have no desire to establish the Shari’ah because Islam is not priority number one in our lives – it is mostly an age-old culture, or a tool of control, or an inconsistent temporary spiritual get-away from the world. Obviously, if more Muslims truly desired Allah’s word to be most-High, they would strive for it in a heart-beat; there would be more than enough support to establish a proper state given the overall population of Muslims. As I was saying, the key to feeding that desire for true justice instead of control, and the key to having the resources, tools, and understanding of how to establish and maintain a healthy, pious, just, truly shariah-compliant Islamic state — is knowledge. And knowledge is not getting to the Muslims completely intact nowadays; it is mixed in with political agendas and personal opinions, which obviously turns many people away, or atleast lessens the value of what is misunderstood to be Islam. Who can change those images around if the people with no strings attached are locked away inside the puppet-box? When a significant number of Muslims are beyond the stupid and trivial issues that divide Muslims now, when they understand Islam, and are equipped with practical knowledge, they would eventually move towards establishing this deen properly in the world. After acquiring uncorrupted knowledge, that is the next logical step. Guess what that means? They will want an Islamic State. They will want to overthrow the hypocritical puppets and disbelieving puppet-masters. And, they will have the tools to do it in the true Islamic way – with complete Justice, with the least violence, and with the purest of intentions. There may be a struggle, but it would be done for the sake of Allah and no one else, thus in a manner that is best in Allah’s sight. So this idea involves a little bit of wrong, but the end-goal is so hugely important, that this little wrong is necessary. By helping this idea along, it isn’t like we are promoting an Islam that is suitable to them – not at all. The goal is to establish Islam, but because secular governments only take elements of religion when it is in their interest, this is the only way to appeal to them in order to get things going… it really isn’t too bad. It is the foundation prior to the actual construction and eventual decoration of the building. There is no way to avoid it – we have to make a little mess in order to clean up properly. Quran even build Islamic schools”. It is better to get new ideas privately-peered reviewed before coming out public with them. When the peers review and give feedback privately, one finds it easier to change their opinion and uses collective ilm to come to a stronger understanding. Also, the masses are less confused. After they are public and published, a human has a tendency to support his point, even if it has some weaknesses in it. Sh Tawfique, it must be very difficult time for being a scholar/student of knowledge. Although I have commented disagreeing with you, but reading other blogs and people calling you kafir makes me feel sick. We as ummah are in deep mess, we have people ranging from ultra progressives to ultra takfiris. My amazement is that people have so easy time calling other kafir and I think it would not happen if enough scholar are bold on truth and gain trust of ummah. There will always be weirdos out there, but for most people in middle who are thirsting for strong leadership, would be happy if the scholars take strong leadership roles. As I said earlier, our scholars need to worry more about us (muslims) and gaining our trust than gaining trust of non-muslim governments (although that could be a mean to other activities). Yes we need scholars to fight extremist elements in our ummah to correct them, but we need scholars to fight non-muslim extremist elements threatening muslims. Why are our scholars so vocal only in condemnation of terrorism done on name of Islam, and never participate (or motivate atleast) for legitimate fight in sake of Allah. Unless they think there is no legitimate fight in sake of Allah on earth now? We avoided Imam Anwar’s comments in the past (such as the voting issue), but this is now different. His article posted above is a DIRECT attack on Shaykh Tawfique and directly/indirectly MM and Al-Kauther. I am not calling for online posts where shuyookh attack shuyookh, but at WHAT POINT will the writers and scholars on here respond to Imam Anwar? Silence is not an option. Confused Muslim Americans like me have no idea who to follow and what is the right opinion. The lack of understanding of jihad and khawaarij in today’s realm is massive and the only options seem to be extreme assimiliation or extreme disassociation. Where is the middle path? Am I the only one that understands the implications of whether Imam Anwar or Shaykh Tawfique is correct? If MM will not respond on Imam Anwar’s piece AT LEAST, insha’Allah, address the subject itself so there will be no more confusion. May Allah reward, forgive and maintain Shaykh Tawfique, Imam Anwar and all the present day scholars and dae’ees. InshaAllah this will be the last post on this article and we can carry on discussion at a near future when I have more time to write a detailed part 2 to clarify how our terms of engagement should be. 1. No doubt, the points that I have made are clouded by people’s interpretation of the particular words that I have used to phrase them. Based on this, people have jumped to conclusions and yet others have read through my clarifications and understood what I intended in the article – and we hope for guidance for everyone. 2. Sh Anwar’s article on my piece is largely sensationalism and picking on wordings devoid of context – except for one important point which I believe is the core argument that I will address – that of maslahah of the dawah and the maqasidus-Shariah versus core principles of our deen such as wala and bara and tawheed. This is really the main issue – because categorically in no case was I ever suggesting that we ever work for anti-terror agencies, take funding from them, take our agenda from them, let them dictate our mandate, let them tell us what deen to follow and what not to, tell us who to work with and who not to, tell us what is extremism and what is not. Never at all. If we were to do that, we would cease to be independant and would loose all credibility. And if I knew of an individual who does that, then I would distance myself from him and would never work with him much the less associate with him. It is under these and similar conditions Yusuf alaihis salam cooperated with the non-Muslim government of his time. 3. Lastly, I urge everyone including myself to be objective in their criticism and to not draw conclusions on an individual. We may disagree on the manner of engagement of the authorities but that does not mean that anyone is a sell out or anyone has left being the people we once were. Jazakallahulkhair and I will inshaAllah ponder deeply on what everyone has written and hope to carry on discussion of these points in the future when time permits.